We continue to explore our new surroundings and last weekend we dedicated to Warwick (UK) – our next door neighbour. While Royal Leamington Spa (it’s usually referred to as Leamington, but you can’t blame me for using a fancier name – it’s official as well!) 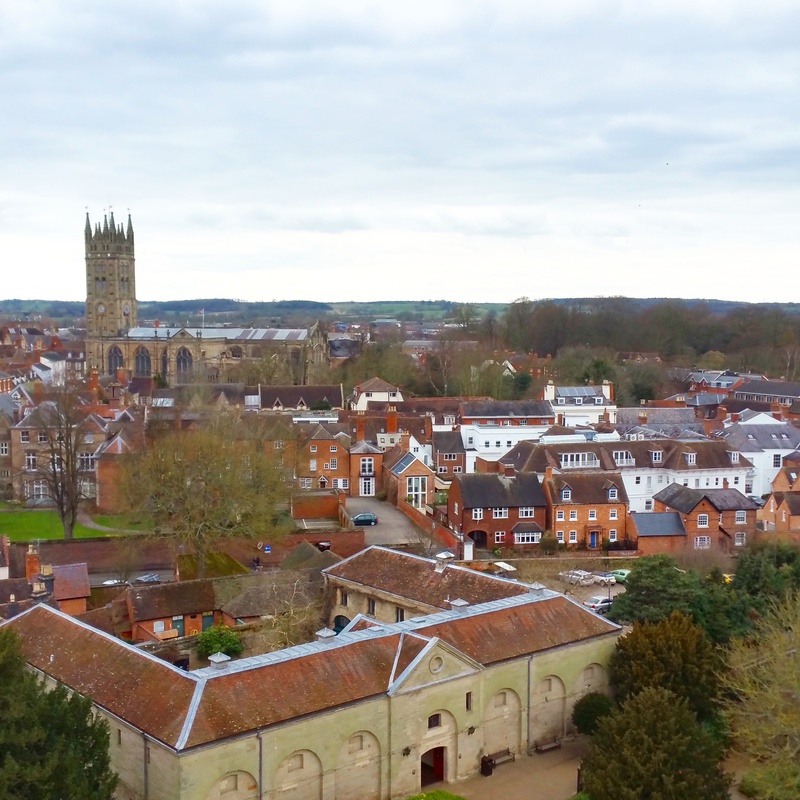 proudly showcases Victorian architecture, Warwick is more of a medieval affair. Warwick started as a castle in the 11th century. Even though Warwick Castle is almost a thousand years old, it’s so beautifully preserved that visiting it is a real treat! 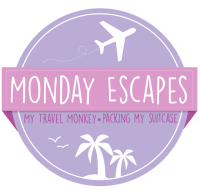 I’ll write about taking our kids to Warwick Castle later – there’s just too much to squeeze in to just one post! Not sure what it’s like for you, but getting everyone ready on a Saturday morning requires lots of effort and expertise in our family. When we finally got to Warwick it was already lunch time, so we started with some proper pub food in the Tilted Wig. 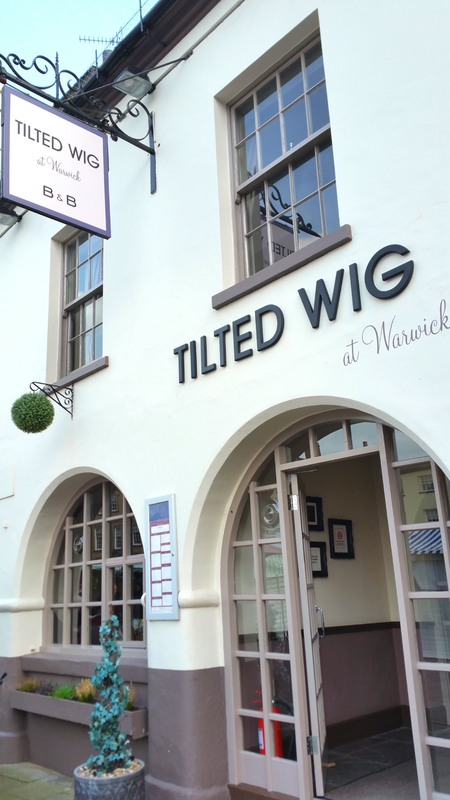 (Review about Tilted Wig coming up shortly in my Family Friendly Pubs section). Full and ready for anything we started our walk around the old town. Our first stop was the Collegiate church of St Mary. It’s amazing! It looks more like a cathedral, grand and beautifully designed, but is still called a ‘church’ (something to do with it not being a seat of a bishop). As we walked into the St. Mary’s, we were warned that we shouldn’t take too long to walk around and there was a wedding planned for that afternoon. Our walk was brisk, mouths agape, eyes wide open – we were determined to take in as much as possible. 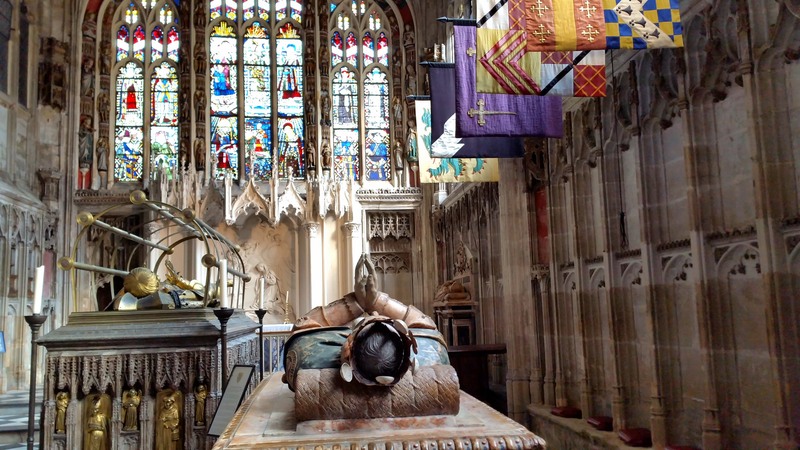 Old flags (one of them was actually in the Crimean war), old graves (several Dukes of Warwick were laid to rest there) , intricate paintings and multicoloured windows – if you visit Warwick, St. Mary’s church is a must see! We also happened to hear music rehearsals before the wedding. Church acoustics is something special indeed. Church cemetery is also quite interesting. 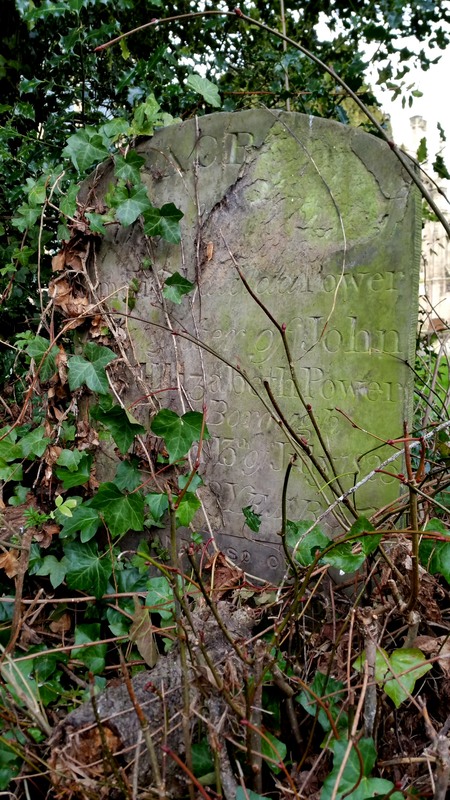 We could see writing on the gravestones dating back to the 19th century, but there were some much older ones there, completely polished by the passing time. No wonder – St. Mary’s dates back to the 12th century. The rest of the afternoon we spent walking around Warwick old streets. We saw some amazing examples of medieval architecture (I’m not even talking about new developments of 18th century or so). Totally feels like you somehow time travelled (apart from all the cars and modern shops around – but you can close your eyes on such small details, can’t you?). It’s my fave part of UK! Great walk through your world. 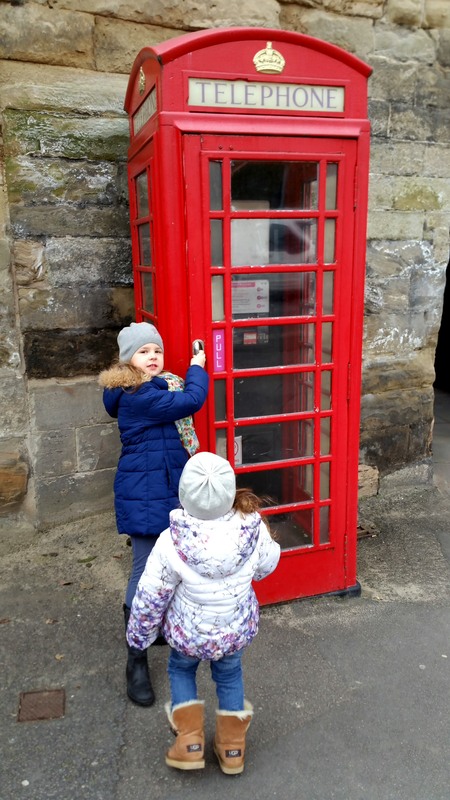 LOVE the phone booth…I remember using them a lifetime ago! I’ve only been to Warwick once, a very long time ago and don’t really remember it. It looks lovely from your pictures. Warwick is sooo pretty! Indeed it stopped in time. St. Mary’s church is amazing, incredible how old it is! Thank you for joining #MondayEscapes! We also visited the castle – it’s so beautiful :) But the town is worth a visit as well! Having grown up in a new town, I do get unreasonably excited about towns with really good old buildings in them. Warwick looks like an excellent place to have within spitting distance. Love a good wanderable urban location. Haha! Great! We explore the west of Scotland first. Edinbourg must wait.